vvbee wrote: Someone in germany just had a hard time selling the visionrgb-pro for 20 euros, so that's the cheap way. Too bad it's not PCIe, or I'd have loved grabbing something like that. Never seen one at 20 euros though. LunarG wrote: Never seen one at 20 euros though. Its just vbee's imaginary card. Ff you check history, its full full similar posts, he never posted any direct link. i also never saw this card for such price. Not posting direct links to auctions is courtesy. I also wrote free software for the card to help others do capture with it, so piss off complaining. There is not any link between writing free software and claims about prices. I won't post links either, as that goes against the forum's policy, but here are a couple of random strings of numbers you can put into the search bar on a major auction site. 253311031092, 111980410219. Both under $32, both have 'best offer' buttons. You're welcome. Last edited by xjas on 2019-2-03 @ 21:23, edited 1 time in total. xjas wrote: ^^ Yeesh, as I've also said before in this thread, I picked up two Pro-1s for about $65 USD shipped a while ago, and I live in one of the most expensive regions in the world to ship things into. It was just a normal auction with worldwide shipping available & I was the only bidder. Ignore the dreamer sellers asking the moon for these things; they aren't that hard to come by. Try searching for "Datapath." I've searched for datapath on the auction sites I am familiar with, and found none that I could use (PCIe) for anything resembling low prices. Bullding a whole streaming/capture system with PCI, solely to be able to use a less expensice card, would end up being an overly expensive solution as well. Last PCI dstapath card I found, with shipping, still ended up on the wrong side of $100us before adding Norwegian taxes and customs. Edit: Just in case anyone wonders. Most shipping from the US to Norway, seems to cost at minimum $20US, but more often anywhere between $40 and $125. Some eBay sellers will only ship FedEx expedited something or other, which can cost a fortune even for small items. xjas wrote: Both under $32, both have 'best offer' buttons. You're welcome. Thanks but they are typical US "only" deals, as we know in US is almost everything cheaper and available, we need something from second grade customers in rest of the world. Europe / Asia / Africa / Australia - shipping + taxes from all these locations are usually much better. I dunno, I don't live in the US either. Both those listings offer worldwide shipping. Sure, you pay a bit for it, but that's just one of those things we have to deal with. IIRC mine were $35 for the auction + $30 for shipping, but I justified that by buying a lot of two so they cost $30ish "each." I'm not trying to argue or "prove" the point, but this doesn't seem like the end of the world. I spent more than that on beer last week. It seems like you're holding out for a unicorn - the exact card you want, for literally under €20, in your backyard. That's fine, but expect it to take a long time & complaining bitterly that it doesn't exist is pointless. "Old lady sellers" & casual ex-gamers don't have these things. They were specialized equipment for the presentation market & cost a over a grand when new. Getting one for less than a hundred bucks all in doesn't seem like too bad of a deal. You could wait forever to save a bit, or you could just pony up the cost of a dinner out for shipping & actually have a card. xjas wrote: I dunno, I don't live in the US either. Both those listings offer worldwide shipping. Sure, you pay a bit for it, but that's just one of those things we have to deal with. IIRC mine were $35 for the auction + $30 for shipping, but I justified that by buying a lot of two so they cost $30ish "each." Shipping seems to be a bit cheaper to you than to me, and remember, I'd have at least another 25% of the whole sum (card + shipping added on top). EDIT: Lol, I should stop posting from bed. Just noticed there was import charges added in your info box. But for me, the big issue is that a PCI capture card would do me no good. My "proper" pc has PCIe only. I paid $90 AUD for my Epiphan VGA2PCIe including international shipping and taxes, which is about $65 USD or 55 EUR. Of course it's not the cheapest out there, but I think it's certainly on the low end of prices you can expect to pay outside of the USA. I know our import taxes are lower than Europe though. Still, I was happy to just pay it and get it over with instead of hoping for one to eventually pop up locally. The $20-$30 AUD "extra" spent is worth the fun and joy of actually having something to capture with instead of trawling through known and dodgy sites alike hoping to find what I want at a price I would have preferred. Is there any capture (card), where is the lag is low enough to enjoy the vga dos games? I dont want to capture in this case, just use a modern display without analog inputs/scaler. Eg gaming in the fullscreen preview mode of the capture sw.
vvbee wrote: Here's the pros for the visionrgb for vga as come to mind. Someone can do one for the epiphan and go from there. I'd imagine they both do vga image quality well, so I've omitted it. - any custom mode possible starting from 15 kHz horizontal frequency to limits of card. - modes are detected by number of scanlines and vertical refresh, then capture timing is taken from a user definable table. With the freely setable pixel clock 640x480 can also be sampled as 1280x480 or 737x480 or anything that is still in the clock range. - it is possible to tune Offset/Gain, HShift, VShift, Sample Phase, PLL, Sync Level Threshold for H and V. Specifically the PLL tuning allows advanced stuff, such as source signal bandwidth measurement. Sample Phase defines the position on the pixels where the sample is taken. - the driver includes an optional pre-scaler for capture software that uses DirectShow. This means any input resolution is scaled to the defined resolution. It is very helpful for captures where the source changes modes. The pre-scaler offers various algorithms upto Lanczos. - The cards driver also extends DirectShow by an API to access special functions of the card that go beyond default DirectShow capabilities (e.g. mode changes). So in principle a DirectShow capture application can detect such a card and offer more functionality. - to the DVI2PCIe a S-Video and audio input can be added by a passive cable adapter. I have captured with the card already quite obscure modes, such as the Ambience/Tran demo. DVI2PCIe - what is about the lag? is it possible to play well dos vga games on the preview screen (without capturing)? how fast is the mode swiching at dos demos? the tran demo is a good example i did not see it since i dont have a crt. I can tell you that on fast paced games it is noticable. However I have not made the photo test with a VGA splitter. I usually use my patched version of DScaler for fast view. If you use the driver internal prescaler it most likely adds another frame latency. Mode switching speed is between instantly and about 3s. There seems to be a minimum intervall at which the card checks for mode changes. Also reducing the setup mode table to the actual appearing modes helps speed it up. If the mode is not right it does not mean you see nothing it means the image might be smaller or cut off in the moment it is not set properly. e.g. here https://www.youtube.com/watch?v=J_CRgYslKzY between 25s and 40s there are two mode switches. elianda wrote: I can tell you that on fast paced games it is noticable. However I have not made the photo test with a VGA splitter. I usually use my patched version of DScaler for fast view. ok, thank you - in this case is should choose the ossc/scaler way. what i dont know, the ossc could it work with modern adaptive sync displays or not. the latest displays support very wide spectrum of the frequency (eg 24-144hz), so technically it should work with 50-70hz modes. Been testing out my Gefen VGA to DVI Scaler Plus today, and so far, it appears to be working pretty much flawlessly. Whatever I input, it scales to 720p60 (from a choice of lots of settings) which is perfect for my cheap chinese capture card. It does seem like the audio output from my GUS is too loud for the input on my external audio interface though, and seeing as I have multiple devices I want to record and not enough inputs, I'm probably just going to have to get a line mixer. I've been planning to get that anyway though, so not a big issue really. Anyway, for anyone who wants to capture VGA, I can totally recommend the Gefen VGA to DVI Scaler Plus. They can be found really cheap on eBay. 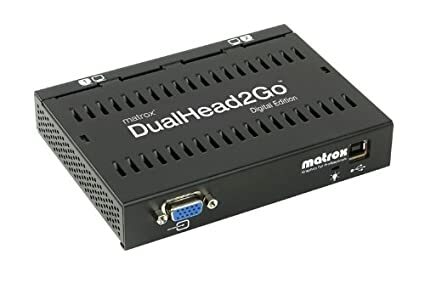 I've been using the old Matrox DualHead2Go Digital Edition which takes VGA as an input and outputs DVI. If just USB powered and not configured in any way, it simply converts VGA to DVI and does so quite well and with what appears to be little to no lag. It even works at low resolutions like 320x200 up to 1600x1200 and odd VESA resolutions like those used in Quake. Perhaps, but they run at surveilence cam resolution. 704 x 480 for ntsc, 720 x 576 for pal. use the capture card as a monitor (old pc -> capture card -> uw monitor) - it is possible to sync to the old pc refresh rate with gsync. the scroll is super smooth (like on a crt).